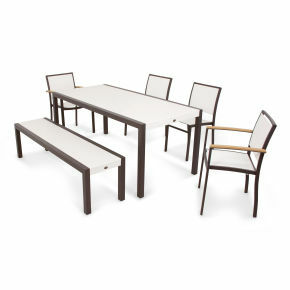 When it comes to summertime and outdoor entertaining, the more the merrier. 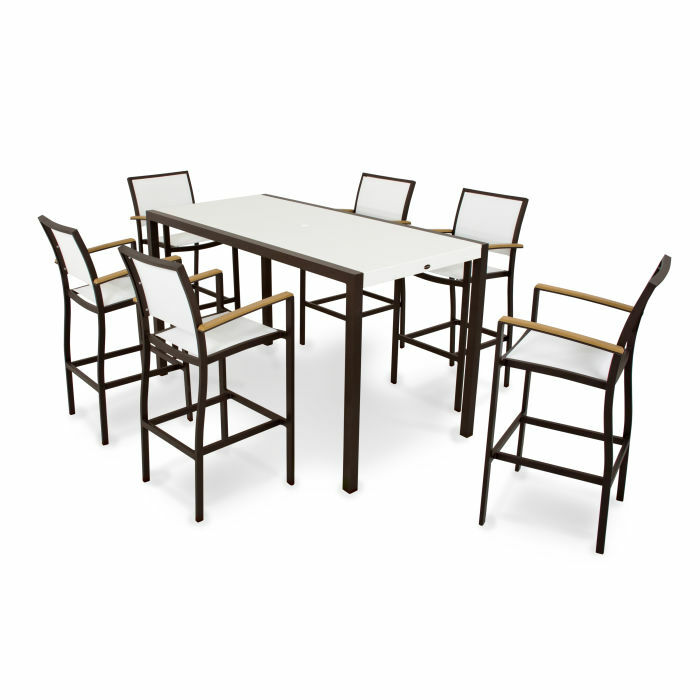 That's why the spacious POLYWOOD® Bayline™ 7-Piece Bar Set is an ideal gathering spot for friends and family. 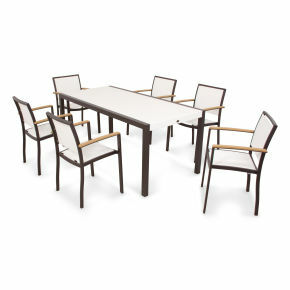 When it comes to summertime and outdoor entertaining, the more the merrier. 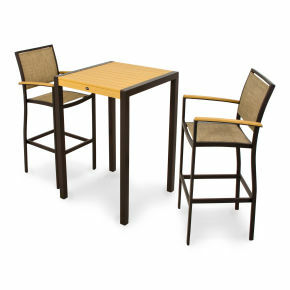 That's why the spacious POLYWOOD® Bayline™ 7-Piece Bar Set is an ideal gathering spot for friends and family. 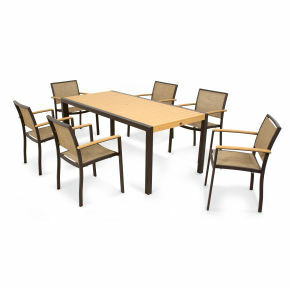 Its cool, contemporary design looks stunning in more modern spaces while its relaxed comfort makes it a welcome addition to any décor. 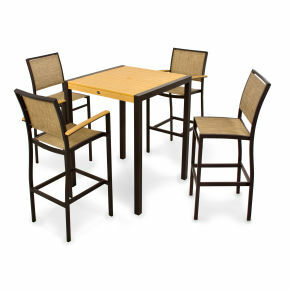 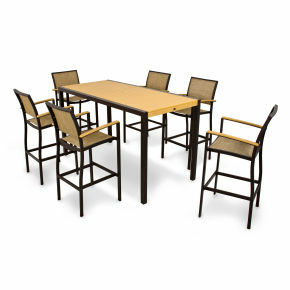 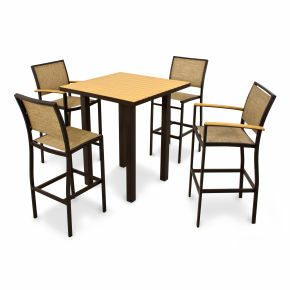 This set, which is available in several attractive color combinations, includes six Bayline Bar Arm Chairs and a MOD SOLID™ 36" x 73" Bar Table. 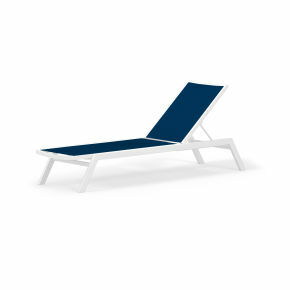 It's constructed of sturdy, powder-coated aluminum frames, SOLID marine grade polymer (MGP), and high quality, fast-drying sling fabric. 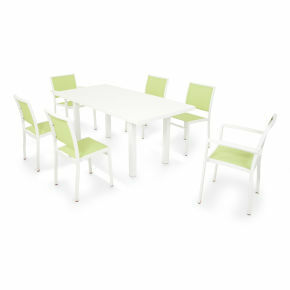 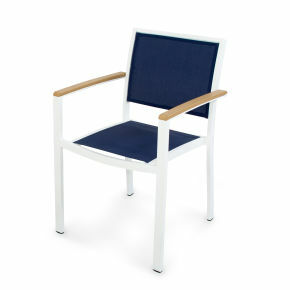 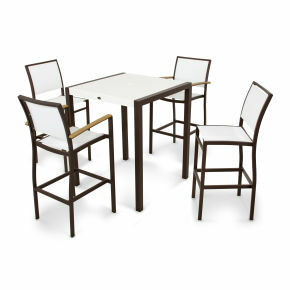 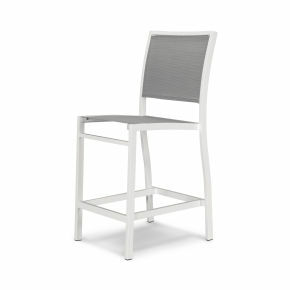 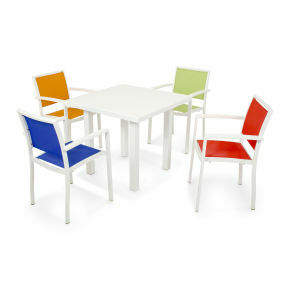 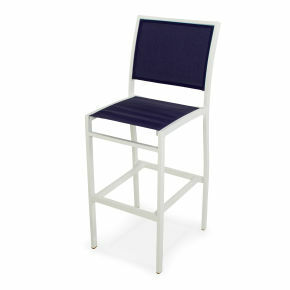 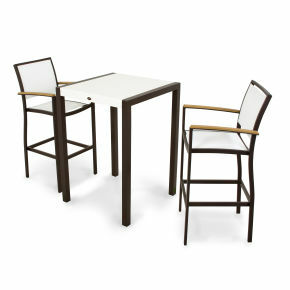 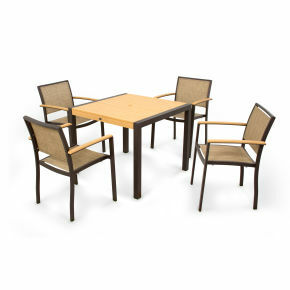 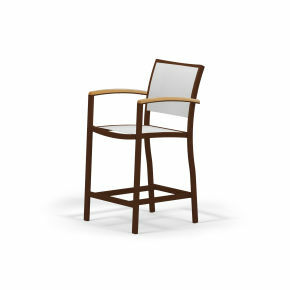 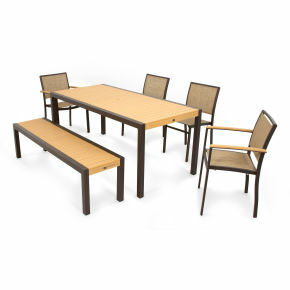 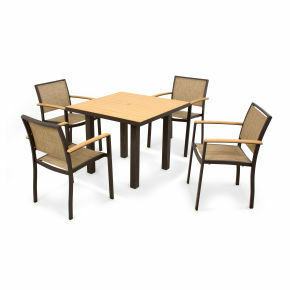 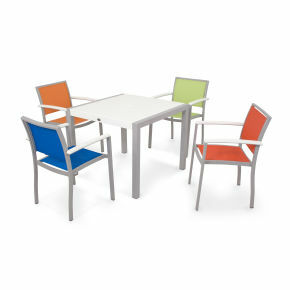 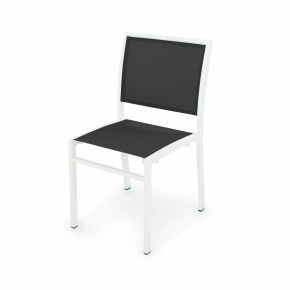 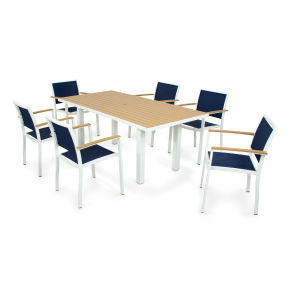 The unique arm detail on the chairs is available in SOLID MGP or Plastique™. 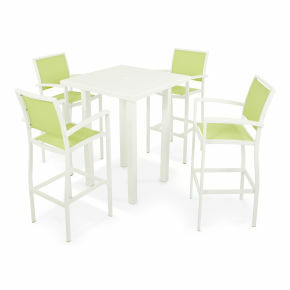 You'll find this set to be extremely easy to clean and maintain since it's resistant to most stains, weather and mildew.